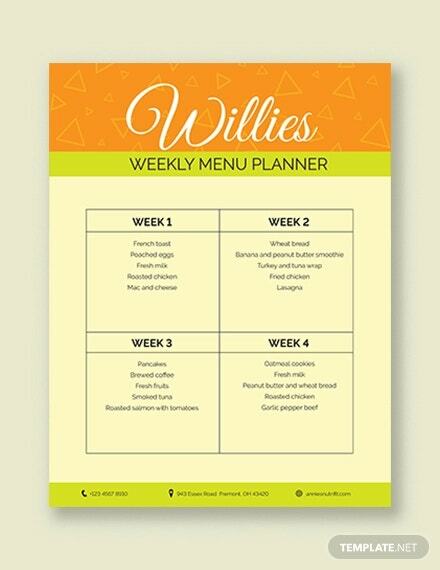 A weekly meal planner may be used for different reasons. It helps people to make it easier for them to shop for ingredients, prepare a meal, and know the food items that they will need to consume for a specific time period. 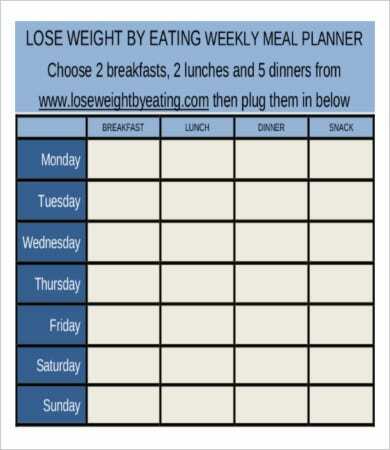 A meal planner consists the days of the week and the food that you are to eat for those days. 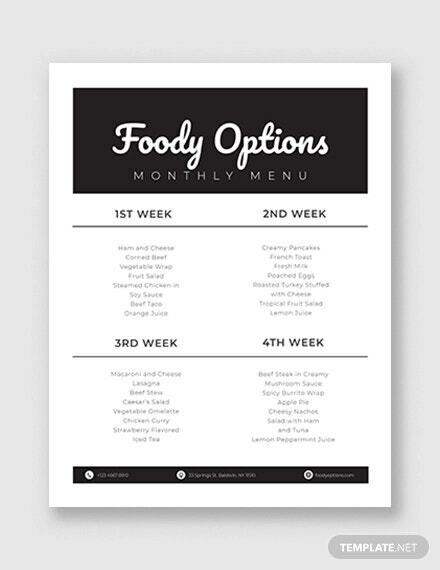 We can provide you a Menu Plan Template that you may use for this purpose and others as well. 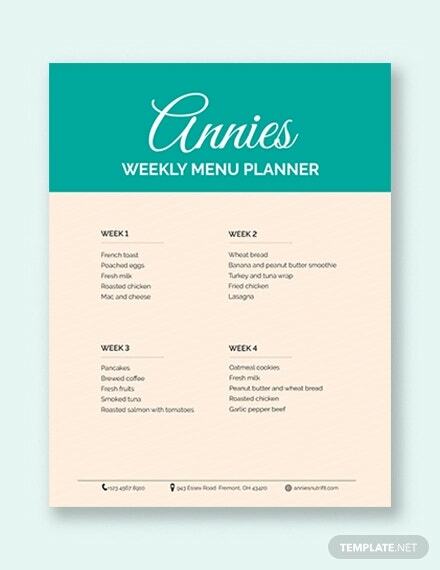 Whether you want to achieve your body goal or you just want to keep track of what you are eating, creating a meal planner will surely help you be more organized regarding the process. Budgeting. People who are in a budget needs to plan ahead of time so that they are sure that their money is still enough to provide them food for the entire week. 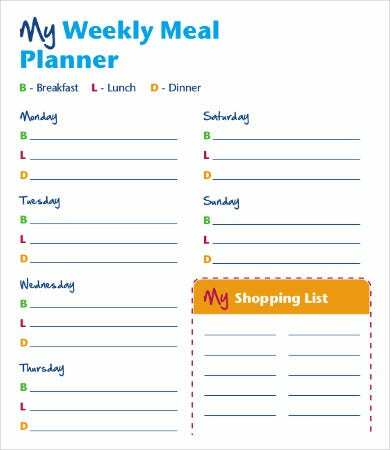 If a weekly meal planner is used for this reason, the food items in the list might usually be ready-to-eat or microwavable meals that one can buy from convenience stores. 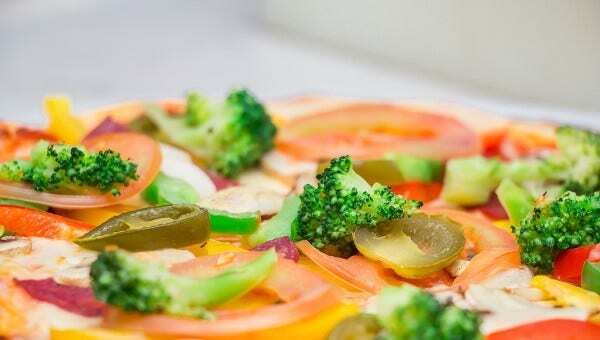 It may also include food selections from fast food restaurants that offer food at a cheaper price compared to other restaurants. Weekly meal preparation. Weekly meal preps are usually done by athletes or those people who need to take calculated calories. They need to have a daily meal plan and put it to implementation for the entire weak. 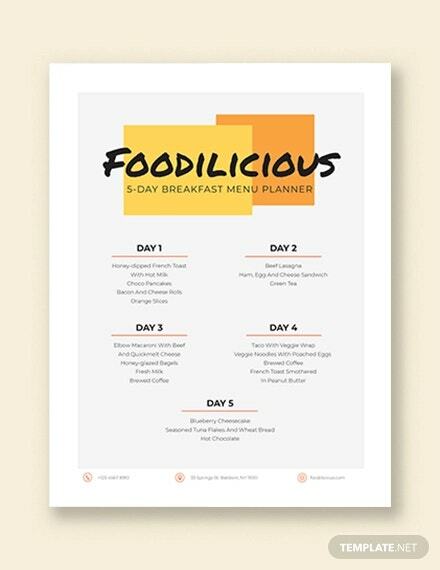 Our Daily Meal Planner Template is available for you to download. Weekly meal preparations are done to maintain the physical strength of a person by providing the same amount of calories and nutrients needed by the body. Achieving a healthier body. 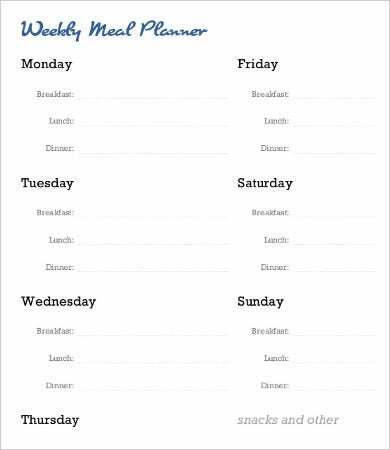 Especially for those who are on a diet, a weekly meal plan is of importance. 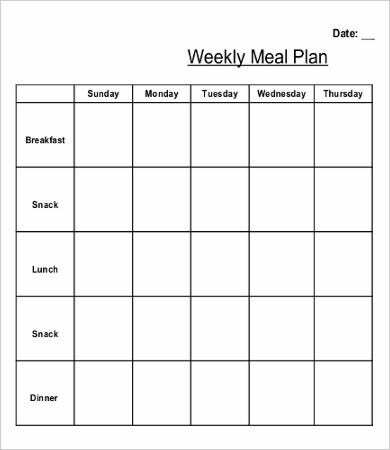 They can already put the food that they expect to eat on certain times of the day per week and know whether they are eating too much or not because of the easy tracking method that a weekly meal plan provides. 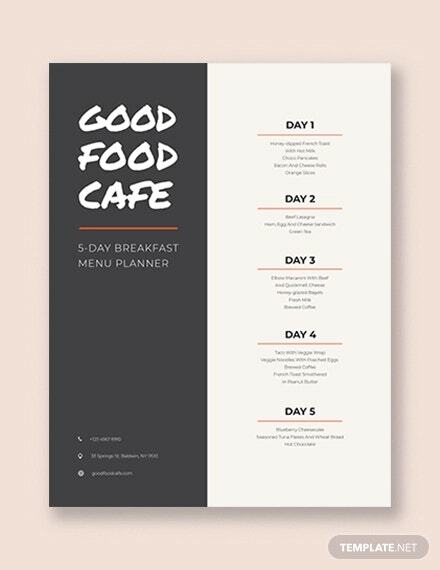 For samples of our Meal Plan Template, kindly click the provided link. No matter what your purpose it for using a meal planner, knowing what you eat and how it affects your daily performance is truly important of knowing. 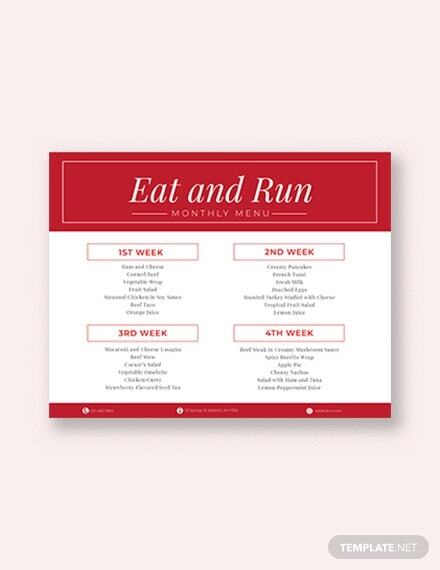 Be sure to create a meal plan that is right for you and the needs of your body. There are certain meal plans that may work to other but may give a different result to you. Do not do comparisons; rather, select a meal plan that will effectively be applied to what you need and not what worked for other people. 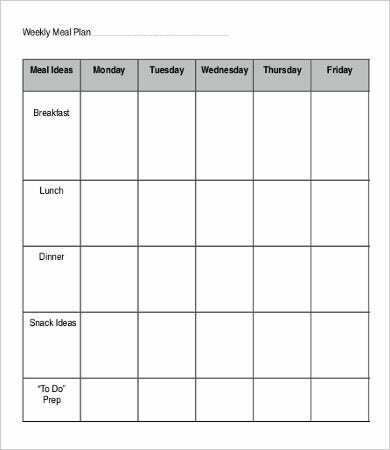 Be sure to follow the meal plan religiously as a change in one item can affect your decision making process on whether to continue practicing what is in the meal plan or not. 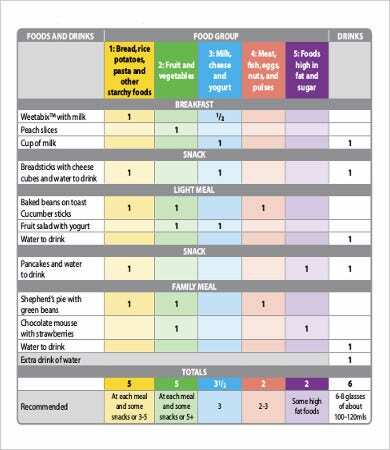 Know your food consumption and from there list the items that you think you can eat per day for a certain week. Make sure that you can easily get the items that are listed as a hard to find source can also let your goal of achieving what is in the list vanish. 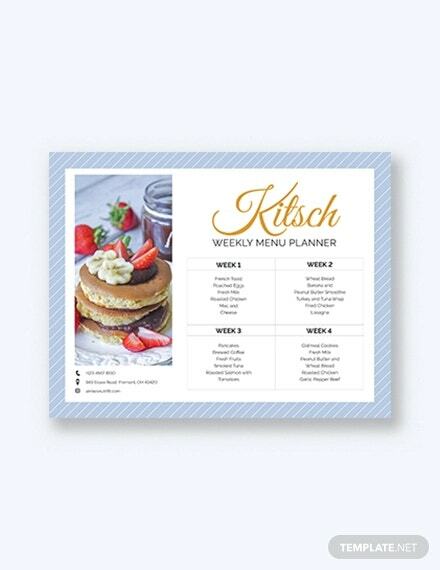 However, if you want to keep track of your calories on a day-to-day basis, our Daily Meal Food Planner Template will be of help should you already want to start your meal planning the coming week.